Call or text: 612-390-1585. Email: Pine Acres email. Or message Mike Schmitz on Facebook. Before talking with us about buying a goat, please take a minute to read through the Buyer Information Page to prevent any misunderstandings. Disease testing was done most recently in May, 2018. 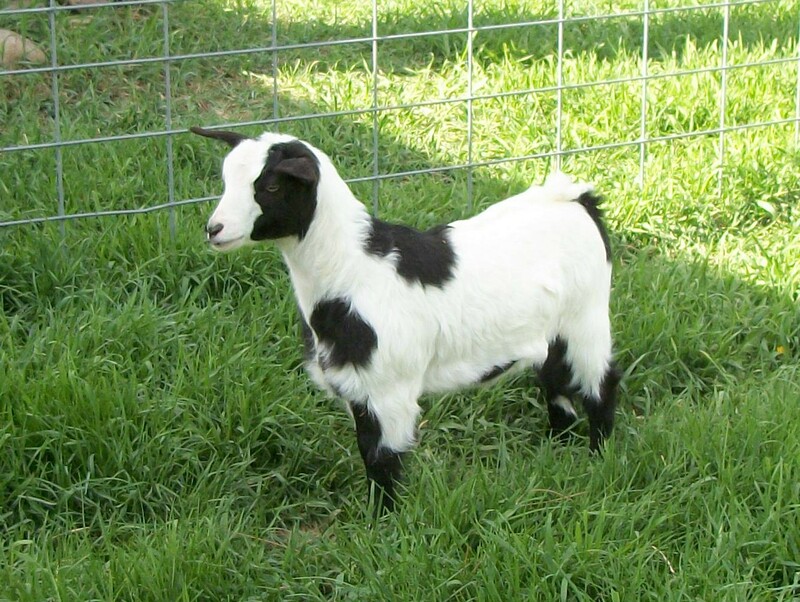 All our goats over 18 months of age tested negative for Johne's disease, CL, and CAE. Wether born 3/19/18. Twin, amber eyes, polled. Sire: Fern Hill Dark Side. Dam: Pine Acres Whirlwind. Very affectionate! $125 alone, $100 with another goat. Wether born 3/19/18. Twin, amber eyes, polled. Sire: Fern Hill Dark Side. Dam: Pine Acres Whirlwind. A nice guy. Would do well paired with his brother. $125 alone, $100 with another goat.